A global short video production platform, where young people gather to create short videos, host LIVE broadcasts and meet new friends! It's also a community packed with tens of millions of influential internet celebrities and outstanding video creators. 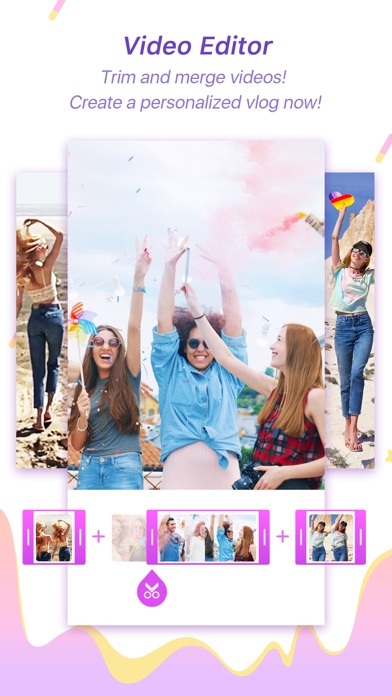 With over 1,000 exclusive special effects, various editing tools, filters and music, every Liker can make their own blockbuster video with ease! On LIKE, you can spread your joy and happiness, as well as share your knowledge to the world via our community. 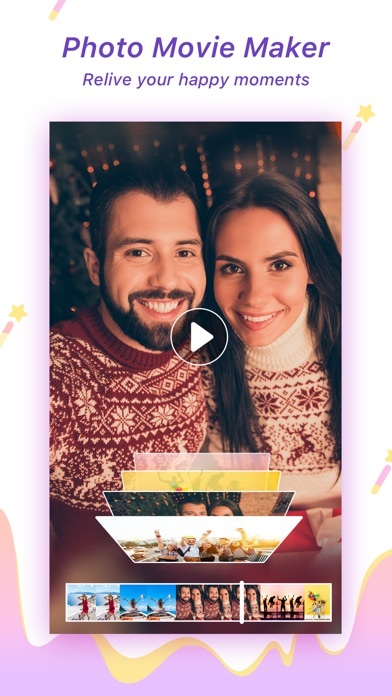 Join LIKE now to create and share trending videos across the globe! 1. Unique Music Magic filter The worldwide unique technology recognition of music rhythm,various amazing effect will be shown according to the change of tone, intonation and volume. Using this filter, you can mix music and magic effect together smoothly, in order to make a dynamic music comedy in 1 minute. 2. Acting & Lipsync LIKE have collected million of dialogue materials all around the world. 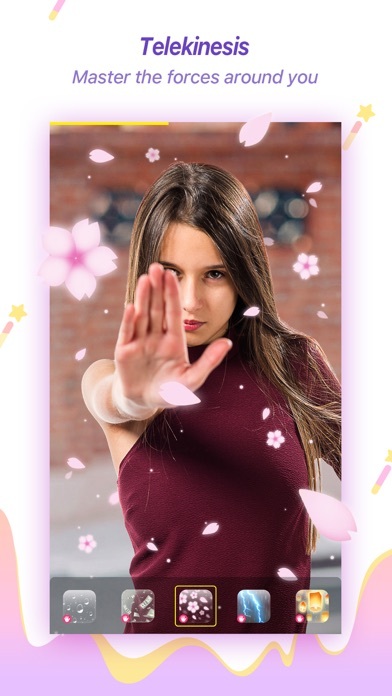 You can turn into the protagonist of your favourite movie in 1 second,sharing your acting skills and happy to the people all around the world. 3. 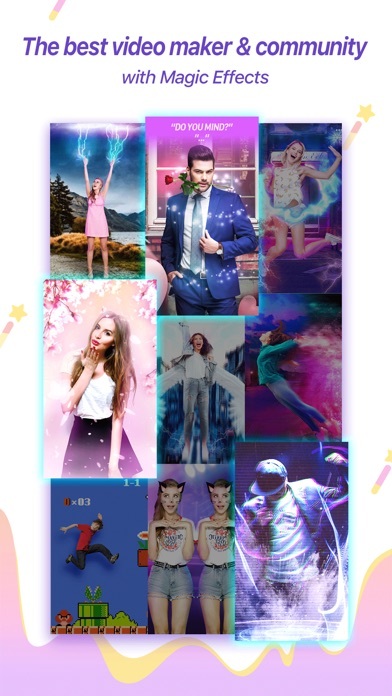 Unique 4D magic all around the world The worldwide first teachnology foreground and background segmentation function plus body edge recognition function, which can help you realize many different effect such as Rocket,Pass Through, Lilliput,etc. What’s more, you can switch into different scene smoothly with more than 20 kinds of appear and disappear effect. 4. The world’s neatest technology “superpowers” Control rain, snow, thunder, fire, and even earth through simple body movements. The world’s first tool to create magic videos: through the leading technology of body action recognition + self-learning AI algorithm model, we realized the innovative video-recording with gesture & movement control of special effects. Unlike post-editing tools, you can achieve 10 types of superpowers by gesture & movement. What you see is what you get! One touch to complete the superpowers video, and become supernatural. Time for you to be cool and fun! Meanwhile, through this body action recognition +special effects, we proudly introduce the X-ray dance and lightning dance, time to move specially, to be chic and playful! 5 Magic Touch Over 50 funny magic effects including Heart,Fire, Rain,Star Dust and more work smoothly and make your videos completely perfect! 6. Face stickers Cute, beautiful,cool,ugly,magical,elegant,funny,etc. 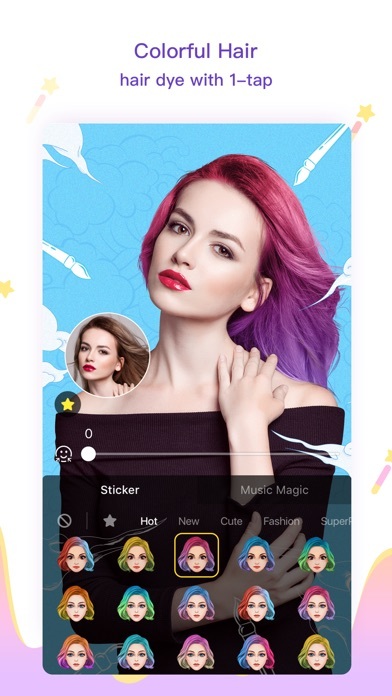 No matter what kind of style you want, you can trun into the type in 1 second with LIKE face stickers in 1 sceond. 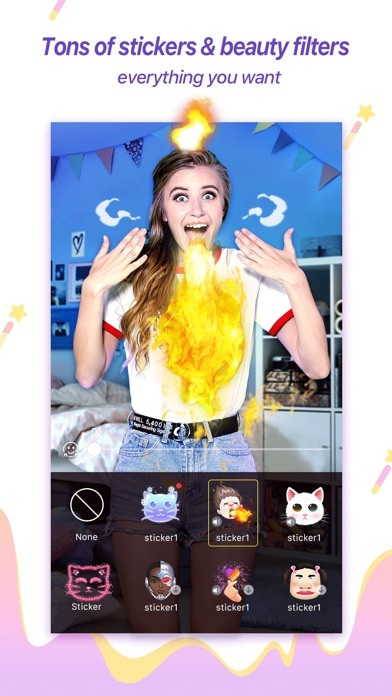 Bloom, My Heart,Spit Fire and so on funny dynamic stickers can make your selfie to break away from tedium from now on. 7. Magic Live The world’s first Magic Live can give you a brand-new magical experience! 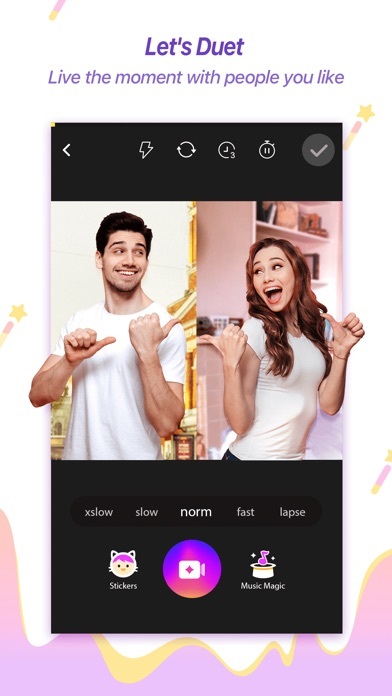 With enriched fans interaction functions, you can prank or beautify the Live vlogger as your wish, and there are more gift option for you to stand out from the crowd. 8.Boom Exciting Boom effects enable you to make videos just like in Hollywood War movies! You will be the superhero in 1 second the moment you use the Boom effects! 9.Mix Effects Just a simple click and the mix effects including Soulstuff, Blurred lines,Heartbeat better than Special effects movies are coming! The moment you use the Mix effects, your video becomes powerful eye-shocking! With the Mix effects, you can make videos faster and better! 10. 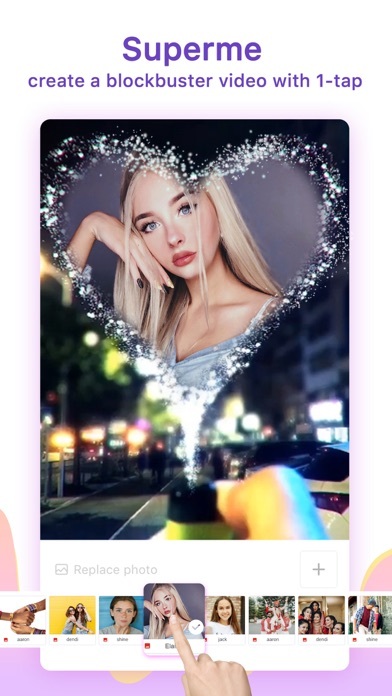 AI Beauty Filters Smart Beauty functions together with various filters automatically makes you perfect in the video! LIKE is now available in 23 languages: English, Hindi, Tamil, Marathi, Telugu, Gujrati, Bengali, Kannada, Malyalam, Punjabi, Pilipino, Indonesia, 日本の, 한국의, Malay, Português, Pусский, Español, ไทย, Türk dili, Tiếng việt, 简体中文, 繁體中文 Should you have any feedback or suggestion, please don’t hesitate to send them to feedback@like.video. This app is cool. You can do super powers change backgrounds and way more. The problem is the superpower always mess up. When I do a move, it does not do the thing it it supposed to do. It either does nothing, or does another move which I wasn’t wanting to do.